Few touches, move the ball on (90 seconds a time). Picking up the intensity - forfeits for non-movers. In pairs. 3 times each on each drill. 3. Up, chase and stop - same as above but first person stops, and back person mirrors. 4. 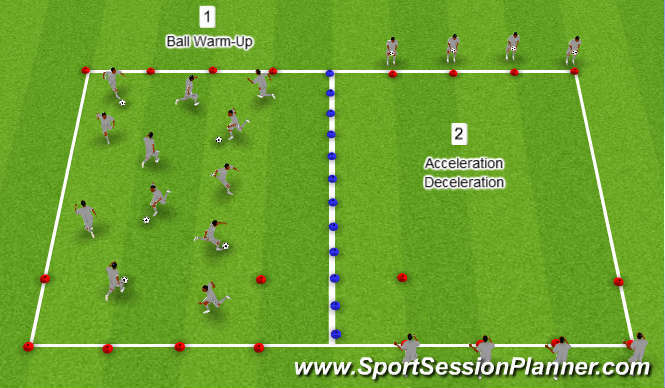 Run, react and stop - one person on the cone with a ball, a player runs towards them and waits for the other to bounce the ball, then stops as quickly as possible. rotate round. Deceleration - soft knees, quick feet, drop hips, wide base.